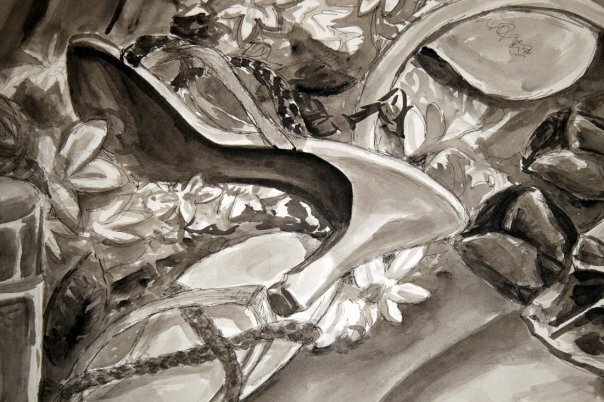 The Daily Draw for 06.15.15 – Elegance in the form of shoes. Ink on watercolor paper. Done with my left hand when I had broken my right hand. Daily drawing for 06.09.15 – An owl perched on a snowy branch. Micron pens in a Moleskin notebook.